It’s time to put on your shooting boots and become unstoppable in front of goal. 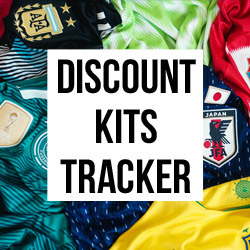 This post was originally created in September 2018, and has since been updated to include all the latest boots for 2019. Some boots are built for one purpose: to put the ball in the back of the net. Featuring innovative tech and slick colourways, this year’s releases have given players everything they need to unleash their deadly finishing. Never before have boots felt so responsive and light, while the big brands have also placed an emphasis on comfort and stability over the past few months. 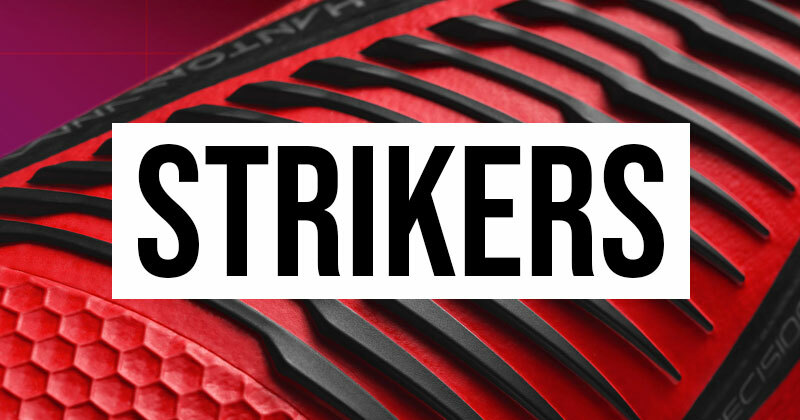 For strikers, the latest generation of football boots seem too good to be true. They’re able to strike the ball cleaner and harder, while modern boots even provide greater levels of accuracy and control. 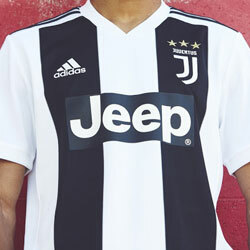 The result has been a shower of beautiful goals and wonderful finishes, as some of the newest designs prove absolutely unstoppable in front of goal. So, what are the best football boots for strikers right now? Worn by the likes of Harry Kane and Edinson Cavani, the new Nike PhantomVNM boots are worn by some of the world's most prolific goal-scorers. The Nike PhantomVNM is engineered with textured zones to provide a powerful strike, supported by a Presicion PWR instep to ensure total accuracy. The PhantomVNM has covered laces, this increases the strike zone which is 30% larger than the Hypervenom III while allowing a superb lockdown. 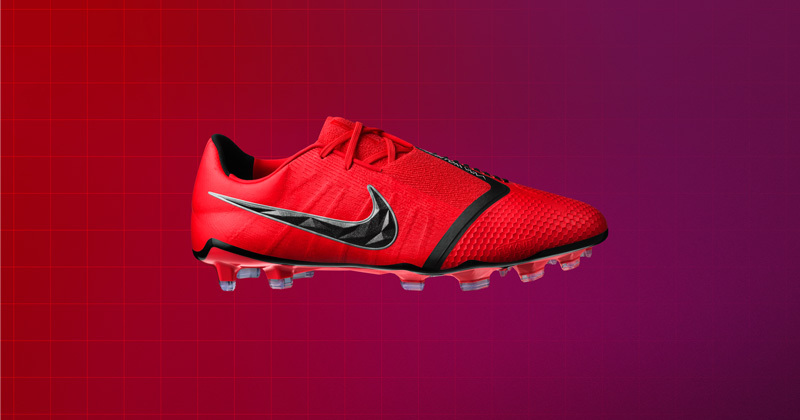 These boots are new to the market and are set to be the ultimate weapon in front of goal. Harry Kane, Pierre-Emerick Aubameyang, Robert Lewandowski, Alex Morgan, Marcus Rashford, Gonzalo Higuain, Edinson Cavani. Who said laces were dead? The Puma FUTURE first burst onto the scene in 2017, boasting a completely flexible lacing system that could be fully customised to a player’s needs. 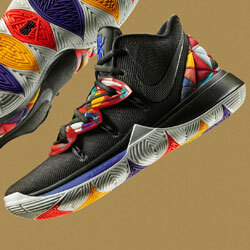 A little way down the road, and they’ve unleashed the Future 19.1- the next generation of their innovative silo. This NETFIT technology offers players a unique level of personalisation, making sure wearers always feel snug and secure while out on the pitch. 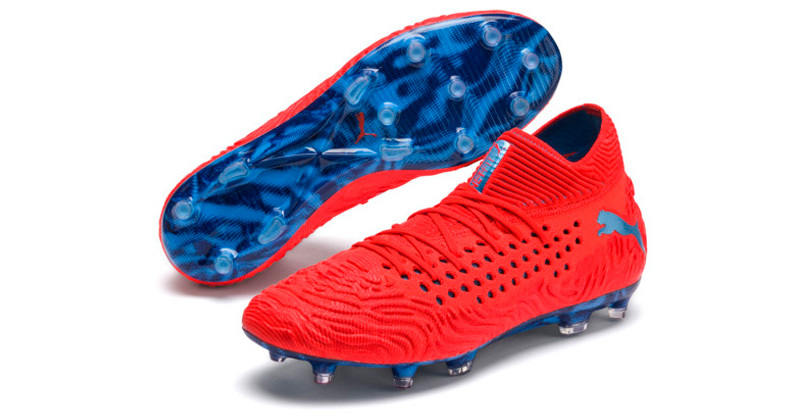 Perhaps not too popular amongst out-and-out goal-scorers, the Puma FUTURE is the perfect boot for agile forwards with a more creative spark. Released in January 2019, these are some of the most inventive football boots money can buy this year. Puma Future ‘Power Up’ 19.1 (Red Blast/Bleu Azur), Puma Future ‘Illuminate’ 2.1 (Biscay Green/ Black), Puma Future ‘Eclipse’2.1 (Black), Puma Future ‘Uprising’ 2.1 (Shocking Orange/ Black). 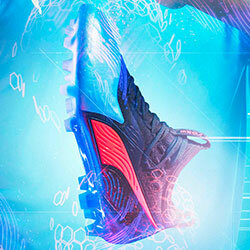 Who Wears Puma Future 19.1 Boots? Antoine Griezmann, Luis Suarez, Marco Reus, Marko Arnautovic and… Usain Bolt! 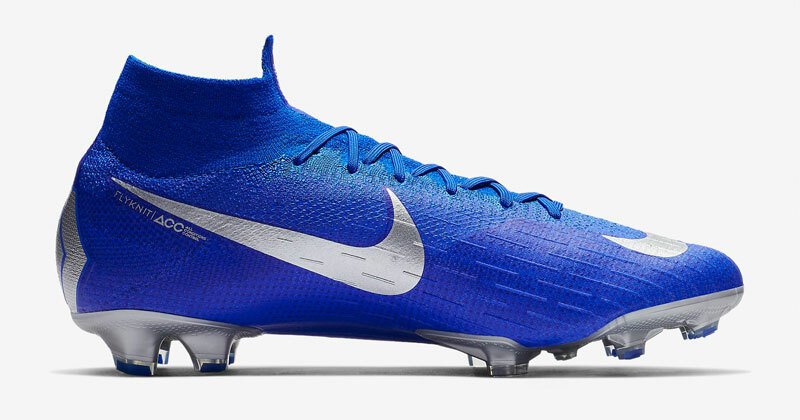 The Nike Mercurial is undoubtedly the most popular boot on the planet right now. Worn by some of the biggest names in football, the Mercurial Superfly Elite VI was first introduced in late 2017, but the boot’s popularity certainly hasn’t waned in that time. In fact, if anything, it’s actually grown more popular as the months have gone by. The first boots to incorporate Nike’s ground-breaking 360 Flyknit upper, this new generation of Mercurial is built for pacey forwards with a real killer instinct. The seamless lightweight upper, Dynamic Fit collar and All Conditions Control technology combine to create an unstoppable goal-scoring weapon. After all, this is what CR7 is wearing- so who are we to argue with him? Nike ‘Always Forward’ Mercurial (Racer Blue/Black/Metallic Silver), Nike ‘Always Forward’ Mercurial (Volt/Black), Nike ‘Just Do It’ Mercurial (White/Total Orange), Nike ‘Fast AF’ Mercurial (Total Orange), Nike ‘Stealth Ops’ Mercurial (Black), Nike ‘Raised On Concrete’ Mercurial (Wolf Grey). Who Wears Mercurial Superfly Elite VI Boots? Cristiano Ronaldo, Kylian Mbappe, Alexis Sanchez, Marco Asensio, Jamie Vardy. 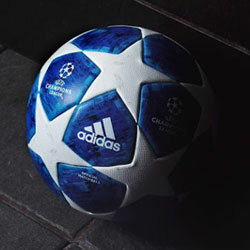 Built for forwards with blistering pace and mind-boggling agility, the adidas X can be absolutely devastating in attack. I mean, just look at what Mo Salah did last season. The X 18+ model was unveiled just before the World Cup, showing off an unbelievably thin upper and one of the most striking colourways you’re likely to see. 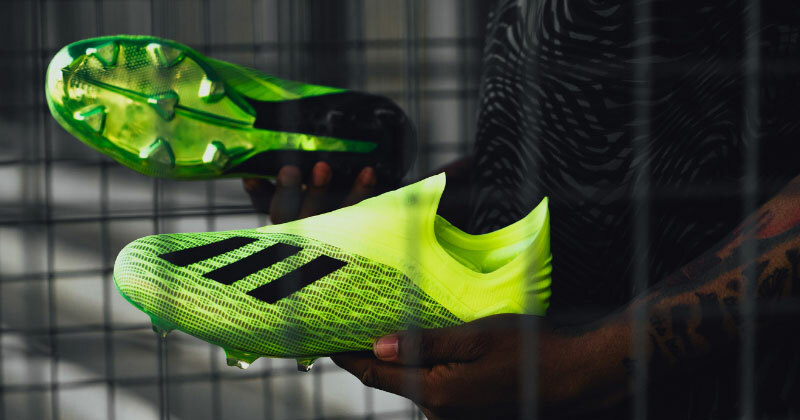 Providing a comfortable, secure fit and customisable lacing system, this is undoubtedly adidas’ fastest football boot to date; as players are encouraged to unleash their explosive pace and face-melting acceleration. Fast, comfortable and downright beautiful at times, these boots should be your weapon of choice if you like to run in behind or take on the full-backs. adidas Team Mode X (Solar Yellow), adidas Shadow Mode X (Core Black), adidas Energy Mode X (Football Blue/Solar Yellow). Who Wears Adidas X 18+ Boots? Gabriel Jesus, Mo Salah, Paulo Dybala, Edin Dzeko, Andrea Belotti, Michy Batshuayi. Fancy a pair of these lethal football boots? Make sure to score the best deals by comparing prices with FOOTY.COM today!